If you have read any of my other blog posts, many of them discuss (or at least mention) my children and the hiccups we experience as I try to balance parenting with writing. They color on my notes. They spill their sippy cups (I thought they were spill-proof!) on my laptop. They derail my train of thought. As a writer, in addition to the actual process of writing, my job is to observe. To see real life in order to reflect (and, at times, manipulate) it. And life doesn’t get more real than my house during play time. While I often enter in to playing games, configuring puzzles, dressing dollies, and coloring pictures, there are times when I hang back and allow my kids to play amongst themselves. In this hanging back, I have learned (or been reminded of) many useful facets of the art of storytelling. I thought I’d share a few with you. 1. All Behavior Is Motivated. This is a phrase my college psychology professor used many-a-time, but never is it more evident than when watching my children. My 6-year-old runs to me crying and explains how her 3-year-old sister just destroyed her block tower she was building. While it seems random and even spiteful to her, I understand that every time I build towers with my 3-year-old, it is for the sole purpose of allowing her to knock them down. So what else would she do when she sees a tower being built? I understand her thought-process, her motivation for destruction. My 6-year-old—who sees only spite—is indignant. Much like an audience who cannot see the motivation behind a character’s actions or decisions. Therefore, as a story-teller, I must understand and convey the motivation for my characters’ thoughts, behavior, feelings, decisions. The motivation may be ridiculous or misguided, or I may delay the revelation of a motivation, but it must be there. Readers need to know there is order to my created universe (even if no order exists to my laundry room). 2. Three Creates Conflict. There is no way to exaggerate the frustration of watching two of my children playing happily only for the third child to arrive and create an uproar. As a writer, this is an interesting technique—often referred to as triangulation. Triangulation creates tension and conflict within our minds which seek order and balance. Even if balance is struck within triangulation, it is precarious, and rarely can it be maintained. This is why the love-triangle within a story never gets old. Look at Shakespeare’s Twelfth Night with Orsino, Viola, and Olivia. Or Hawthorne’s The Scarlet Letter with Hester, Dimmesdale, and Chillingworth. 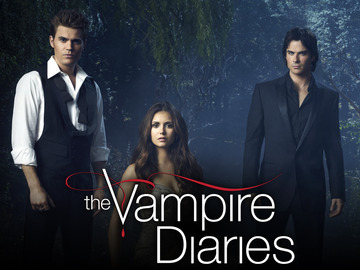 Or even in pop culture TheVampire Diaries’ Elena, Damon, and Stefan. (You can call the show ridiculous, but they have a fiercely loyal audience because of that ever-in-conflict love triangle.) This is the meaning behind our clichés “three’s a crowd” or “third-wheel.” Three creates conflict and without conflict there is no story. 3. The Villain Isn’t Always A Villain. Sometimes one of my kids is just feeling ornery and disturbs her sisters simply to disturb her sisters. But more often than not, my child is instigated by someone or something else. A bad day at school. A poor night’s sleep. A needed snack. As a result, she colors on her sister’s picture. Or changes the channel on the TV. Or takes her sister’s Lalaloopsy doll and throws it down the stairs. Does she do “bad” things? Yes. Is she responsible for her actions? Absolutely. Is she a villain? Hm. (I know, I know, there are many definitions for villain, and some would differentiate between villain and antagonist. Today, in an effort to streamline this blog that is quickly growing too long, I'm lumping them together. We can argue later. Or not, which I'd prefer.) Anyway, some of the most intriguing stories create an element of sympathy to the antagonist of the story. BBC’s Downton Abbey jumps to mind immediately. These characters that Julian Fellowes created that viewers despise, still evoke sympathy. The character of Thomas in particular is a character I loathe, yet his horrific war-time experience has made it so that, even when he is brought to his knees later on, I can’t just say “good riddance.” A twinge of sympathy is felt, which to me is the epitome of great writing. It's seeing characters--good and bad--as essentially human, not archetypes. Now, I understand that at times stories call for an archetypal villain who is truly a through-and-through “bad guy.” A villainous villain. I would then direct you back to item #1 above—be sure the villainy is motivated. Because using the mantra “He’s bad because I, as the author, need him to be bad” is rarely good enough to make your villain believable. So. Three little tips. Writing reminders to consider wrought by my children in conflict. There are many, many others I could add, and I may—here and there—offer some more for your entertainment. But for now, my daughter has just spilled hot chocolate on the cat and I have some clean-up to do. Wonderful post, Anna! I'm working with a particularly villainous character in my novel right now. And by working with I mean "avoiding entirely." But you've given me the inspiration to attack him head-on. Thanks! Glad to help, Kate! Villains are always a tricky business. Best of luck! 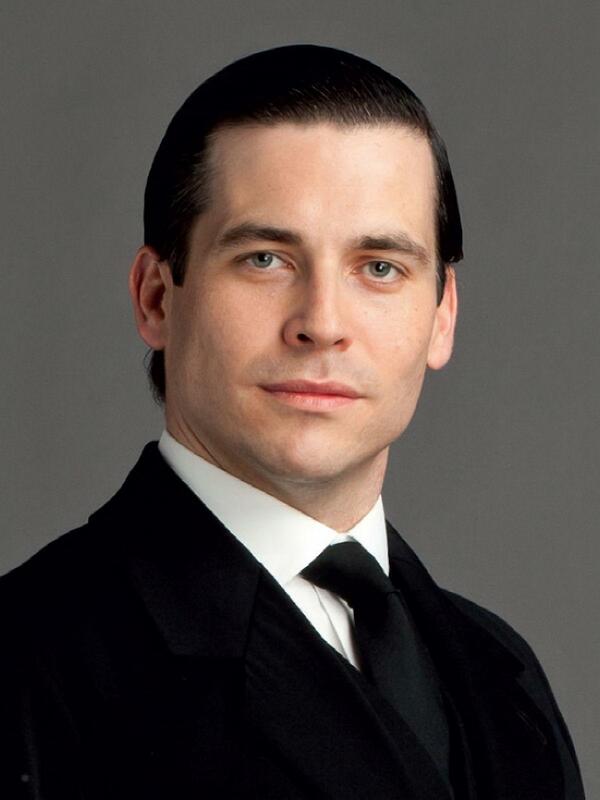 You had me at Downton Abbey. Great post, Anna. Really insightful. You're absolutely right, kids can shed much light on our deepest motivations. I will need to think on this and see if it applies to my memoir or essays. I think it will.